Suzuki announced an expanded range of 2019 V-Strom models today. 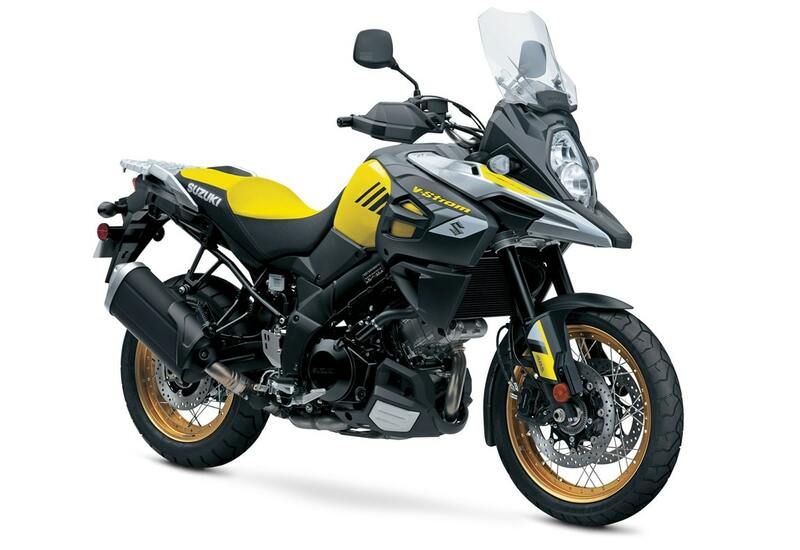 In addition to the standard and XT versions, there’s a new V-Strom 1000XT Adventure and a V-Strom 650XT Touring, both with extensive updates and added features. Here’s what Suzuki had to say in its official press release. 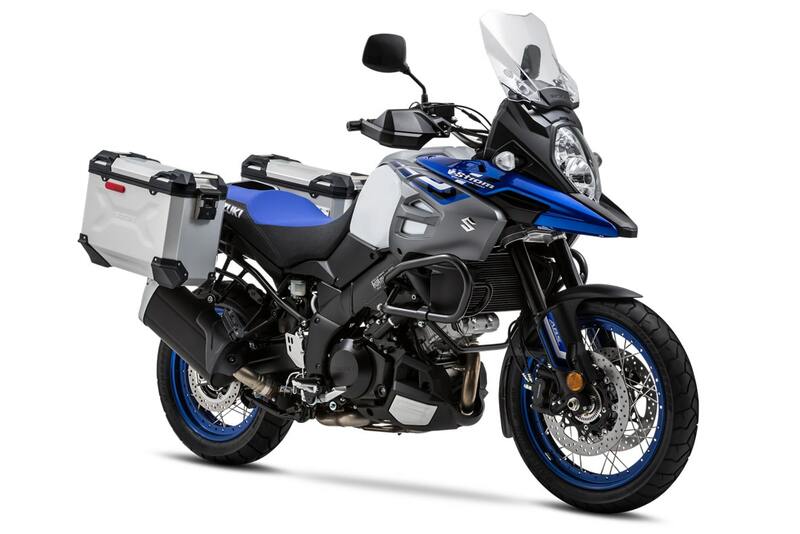 Suzuki’s V-Strom models are known to do anything and that includes travel. The new 2019 V-Strom 1000XT Adventure and V-Strom 650XT Touring models are turn-key bikes ready for riders to point towards the distant horizon. 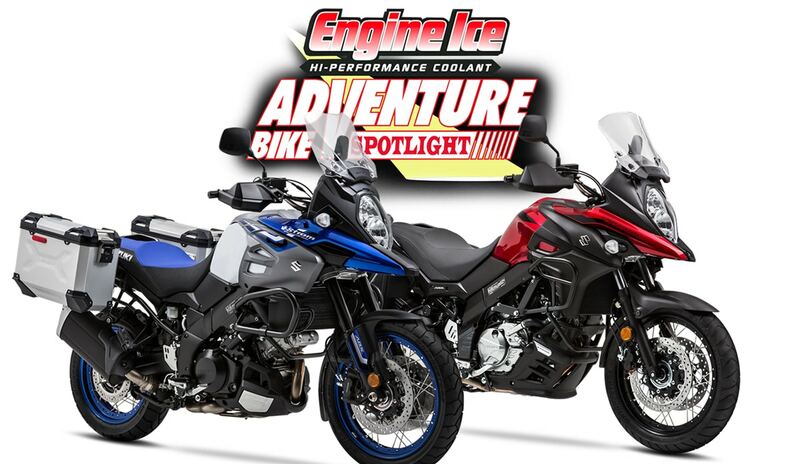 Starting fresh with 2019 versions of the popular XT-version V-Stroms, these new Adventure and Touring models are fitted with side cases and other gear needed to take on the journey. For riders looking to create their own exploration platform, the V-Strom 1000XT, V-Strom 1000, V-Strom 650XT and V-Strom 650 are back with new looks and refinements so they remain the best buy in the ADV category. 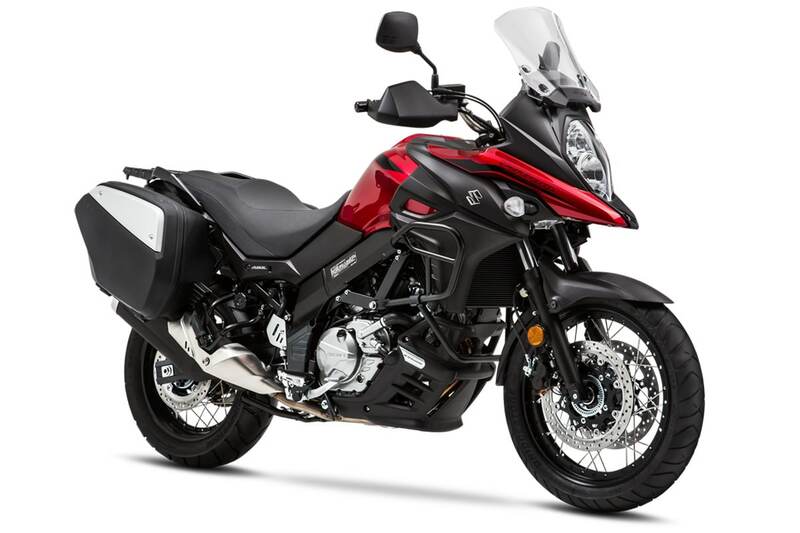 * New model includes an accessory bar, center stand, heated hand grips and new, Suzuki 37-liter ADV-style aluminum panniers that easily clip on and off their stainless steel mounts. * Liquid-cooled, 1037cc, 90-degree, V-twin delivers strong performance and fuel economy. * Five-axis Inertial Measurement Unit (IMU) provides vehicle spatial information to the innovative Motion Track Anti-lock* and Combined Brake System. * Multifunction, illumination-adjustable instrument panel delivers a wide range of vehicle information and aids in selecting the Suzuki Traction Control System** modes. * Suzuki DR-Big styled fairing has vertically stacked headlights and hand-adjustable windshield. * Pearl Vigor Blue / Pearl Glacier White bodywork with blue, spoke style wheels. * Fitted with tubeless ADV-tires on aluminum, spoke-style wheels, and a set of removable Suzuki side cases, an accessory bar, hand guards, a lower engine cowl, and a centerstand. * Suzuki beak-style fairing with vertically stacked headlights and adjustable windshield. * Liquid-cooled 645cc, 90-degree V-twin engine delivers strong torque in the low- to mid-rpm range, yet provides a strong rush of high-rpm power. * Advanced Traction Control**, Easy Start System, Low RPM Assist and ABS-equipped* braking. * New Candy Daring Red color with black anodized rims and bright, stainless steel spokes. * Five-axis IMU provides data to the Motion Track Anti-lock* and Combined Brake System. * Multi-function instrument panel aids in selecting the Suzuki Traction Control System* modes. * Slim fairing features vertically stacked headlights and hand-adjustable windshield. * Engine cover hardware and select other chassis fasteners are a new Torx/hex design. * New Candy Daring Red body work color with black, cast aluminum wheels.